Preparing for the CCNPÂ® exam? Working as a network professional? Here are all the CCNP-level commands for the Implementing Cisco IP Routing (ROUTE) exam you need in one handy resource. 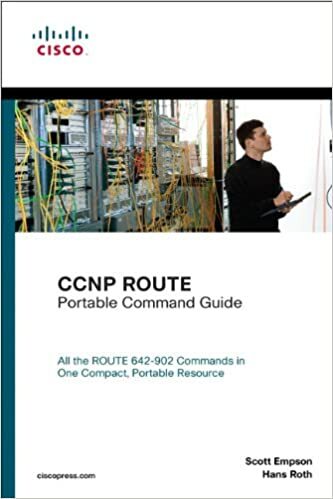 The CCNP ROUTE Portable Command Guide is filled with valuable, easy-to-access information and is portable enough for use whether youâ€™re in the server room or the equipment closet. This book helps you memorize commands and concepts as you work to pass the CCNP ROUTE exam (642-902). The guide summarizes all CCNP certification-level Cisco IOSÂ® Software commands, keywords, command arguments, and associated prompts, providing you with tips and examples of how to apply the commands to real-world scenarios. Configuration examples throughout the book provide you with a better understanding of how these commands are used in simple network designs.